I’m on a bit of an old photo thing aren’t I? This one is different though as I’m playing along Kidspot‘s #voicesof2014 #flashbackfriday. Every week a new theme is chosen by bloggers and this weeks them is “matching”, chosen by moi! So this is my sister and I in our most matchymatchy outfit I could find. From the dress, to the bonnet type thing on our heads, to the baskets, to the shoes, to the hair style. 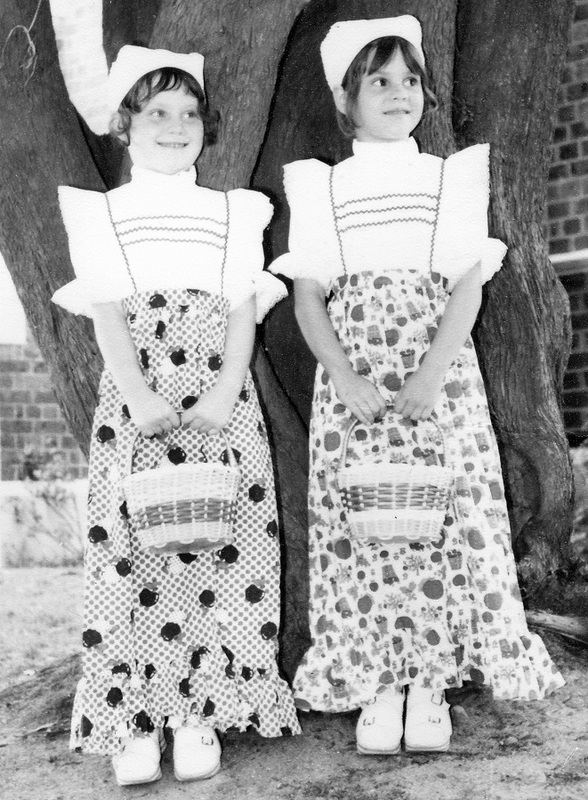 I still remember these dresses and the baskets and even the thick rubber soled shoes (the soles were pink & white striped). Obviously, this was the seventies and we would have been looking pretty damn fashionable for the wedding we were going to. On the craft front, I’ve been crocheting granny squares like there’s no tomorrow. Originally I was going to join up with the lovely Kate from Foxs Lane and her Grannyhottie, which sounds way weirder than what it is. It’s actually a super cool crocheted granny square cover for your hot water bottle. But once I started crocheting these granny squares, I just couldn’t stop. So the Pixelated Series began. This will be the Pixelated Ocean Blanket and there’s another that I’ve started too. It’s lovely pinks and purples and oranges and is inspired by the colours of a pretty old fashioned flower. So I will be darning lots of ends next, luckily I’m actually starting to enjoy this part of the blanket making. 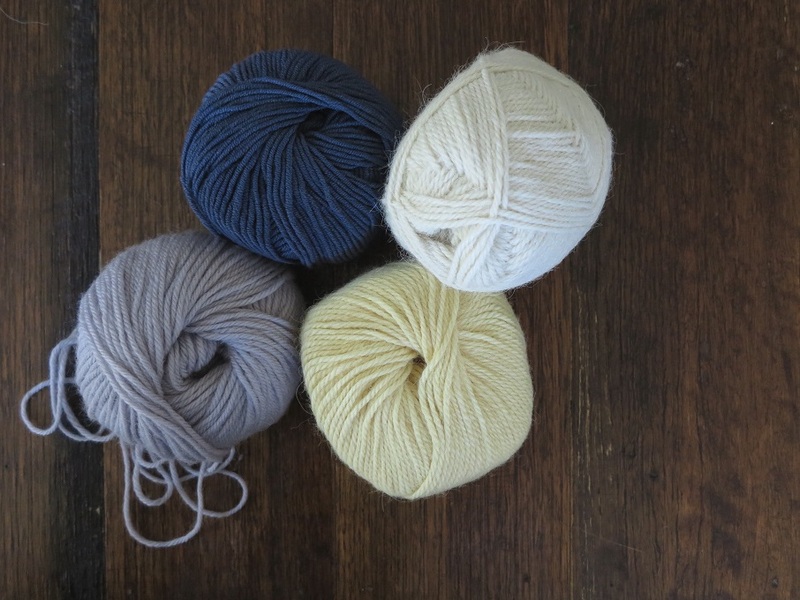 This gorgeous colour combination is the next blanket I’ll be making. A lovely custom order blankie with the most luscious quality merino wool and alpaca yarn. Such a soft fluffy squishable mix, I just can’t wait to get started on it. Well that’s me for now, I’ve been sick as a dog with nastyarse flu for the last couple of weeks so I’m just getting back into the swing of everything and slowly catching up. There’s really nothing like being on the couch for a week to make you appreciate even half decent health is there? How about you, are you well? Have you managed to dodge the lurgies over the winter? Or are you enjoying the tail end of summer somewhere sunshiney in the world? Wishing you sunshine, good health, and flashbacks that make you smile. This entry was posted in craft, crochet, inspiration, Photography and tagged blanket, crochet, granny stitch, inspiration, photography, vintage. Bookmark the permalink. You are so insanely clever. 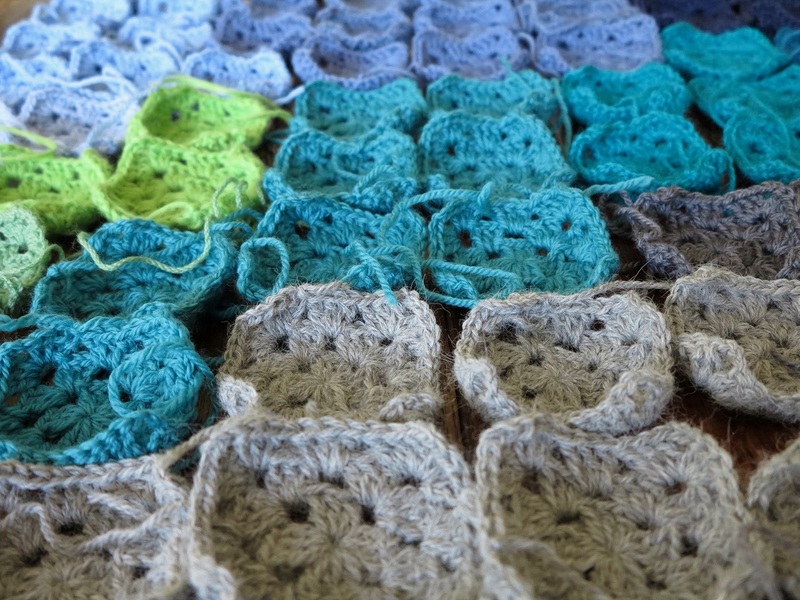 Love the pixelated granny squares concept …and those ocean colours make my heart sing! Truly gorgeous, Dove! I can’t tell you how much I adore that vintage photo! My parents dressed my sister and I matching for a very long time. I was nearly 5 years younger – so it always looked cute on me. I fear it wasn’t so cute on her when she hit her teens! Poor thing! Thanks Heike! It’s a pretty cool pic hey? Dad just told me that not only did he take that photo, he developed in the laundry that he turned into a dark room! I wonder if your sis has recovered? I know I continued the matchy matchy thing with my kids where I could, not as easy with a boy & girl but they did wear matching black vests with white t shirts and jeans a lot! ‘Twas the 90’s … Hope they forgive me! What a fantastic photo! I have a picture of a similar outfit I wore to church as a young girl (also in the 70’s). Thanks for sharing! Do it do it Jo! It’s such a forgiving craft. That photo is just perfection! It makes me a bit sad that my younger kids won’t really know the joy of flicking through old photo albums as all the pictures of them are stored on our computer. 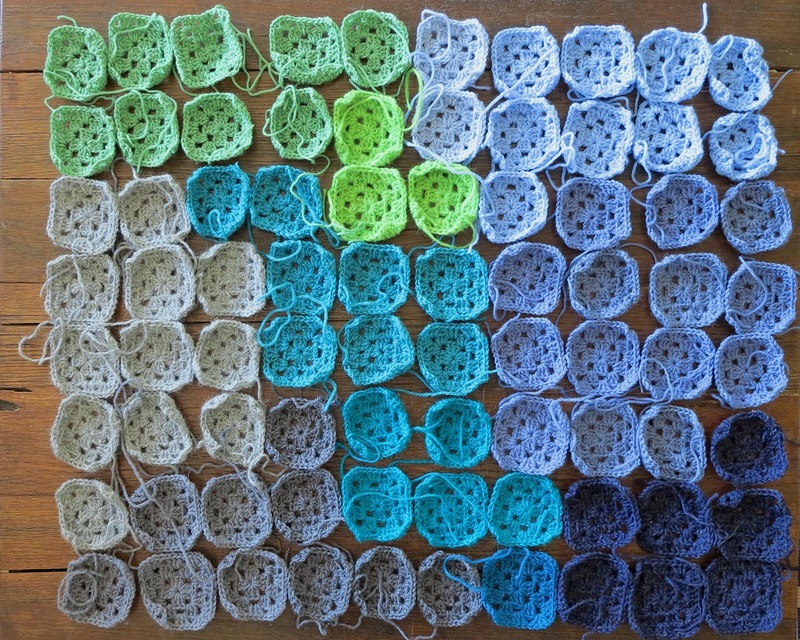 Such great colours for your granny squares, think I’ll love the finished blanket! Aw those baby grannies are fab! I love them! Such great colours and destined for good things! ALSO: cutest photo ever!!! Thanks Pip! They have made the cutest little blankie, I can’t wait to wash and block it photograph it! Such quick little easy squares to whip up, and I think of you sometimes when I darn the ends cos I’m starting to really love this bit! I remember reading that you love it and at the time thought – geez wish I felt like that bout the ends… and now I do! Careful what you wish for hey? Tis the no thinking crafty bit that I like! And… big reply I know… but my dad took this super cute pic and developed it in his homemade dark room which was actually the laundry! Pretty cool huh!